Nedan har du en officiel skivlista, eller? The Tracks are: Introduction, Does Anybody Really Know What Time It Is?, Beginnings, Questions 67 & 68, Listen, Poem 58, Free Form Guitar, South California Purples, I'm a Man, Prologue, Someday, Liberation. Musicians on the Chicago Transit Authority album: Robert Lamm, Peter Cetera, Terry Kath, Lee Loughnane, James Pankow, Walter Parazaider & Daniel Seraphine. The Tracks are: Movin' In, The Road, Poem for the People, In the Country, Wake up Sunshine, Make Me Smile, So Much to Say So Much to Give, Anxiety's Moment, West Virginia Fantasies, Color My World, To Be Free, Now More Than Ever, Fancy Colours, 25 or 6 to 4, Prelude, A.M. Mourning, Memories of Love, It Better End Soon-1st Movement, 2nd Movement, 3rd Movement, 4th Movement & Where Do We Go from Here. Musicians on the II album: Robert Lamm, Peter Cetera, Terry Kath, Lee Loughnane, James Pankow, Walter Parazaider & Daniel Seraphine. The Tracks are: Sing a Mean Tune Kid, Loneliness Is Just a Word, What Else Can I Say, I Don't Want Your Money, Flight 602, Motorboat to Mars, Free, Free Country, At the Sunrise, Happy Cause I'm Coming Home, Mother, Lowdown, A Hard Risin' Morning Without Breakfast, Off to Work, Fallin' Out, Dreamin' Home, Morning Blues Again, When All the Laughter Dies in Sorrow, Canon, Once upon a Time, Progress?, The Approaching Storm & Man Vs. Man: The End. Musicians on the III album: Robert Lamm, Peter Cetera, Terry Kath, Lee Loughnane, James Pankow, Walter Parazaider & Daniel Seraphine. The Tracks are: In the Country, Fancy Colors, Does Anybody Really Know What Time It Is? ["Free Form Intro"], Does Anybody Really Know What Time It Is?, South California Purples, Questions 67 and 68, Sing a Mean Tune Kid, Beginnings, It Better End Soon-1st Movement, It Better End Soon-2nd Movement ["Flute Solo"], It Better End Soon-3rd Movement ["Guitar Solo"], It Better End Soon-4th Movement, It Better End Soon-5th Movement, Introduction, Mother, Lowdown, Flight 602, Motorboat to Mars, Free, Where Do We Go from Here?, I Don't Want Your Money, Happy 'Cause I'm Going Home, Make Me Smile, So Much to Say, So Much to Give, Anxiety's Moment, West Virginia Fantasies, Color My World, To Be Free, Now More Than Ever, A Long for Richard and His Friends, 25 or 6 to 4 & I'm a Man. Musicians on the Live At Carnagie Hall, Vol. 1-4 album: Robert Lamm, Peter Cetera, Terry Kath, Lee Loughnane, James Pankow, Walter Parazaider & Daniel Seraphine. The Tracks are: A Hit by Varese, All Is Well, Now That You've Gone, Dialogue, Pt. 1, Dialogue, Pt. 2, While the City Sleeps, Saturday in the Park, State of the Union, Goodbye & Alma Mater. Musicians on the V (5) album: Robert Lamm, Peter Cetera, Terry Kath, Lee Loughnane, James Pankow, Walter Parazaider & Daniel Seraphine. The Tracks are: Critics' Choice, Just You 'N' Me, Darlin' Dear, Jenny, What's This World Coming To, Something in This City Changes People, Hollywood, In Terms of Two, Rediscovery & Feelin' Stronger Every Day. Musicians on the VI album: Robert Lamm, Peter Cetera, Terry Kath, Lee Loughnane, J.G. O'Rafferty, James Pankow, Walter Parazaider & Daniel Seraphine. The Tracks are: Prelude to Aire, Aire, Devil's Sweet, Italian from New York , Hanky Panky, Life Saver, Happy Man, (I've Been) Searchin' So Long, Mongonucleosis, Song of the Evergreens , Byblos, Wishing You Were Here, Call on Me, Woman Don't Want to Love Me & Skinny Boy. Musicians on the VII album: Robert Lamm, Carl Wilson, Peter Cetera, Alan Jardine, Terry Kath, Lee Loughnane, James Pankow, Walter Parazaider, Daniel Seraphine & Dennis Wilson. The Tracks are: Any Way You Want, Brand New Love Affair-Pt. I/Brand New Love, Never Been in Love Before, Hideaway, Till We Meet Again, Harry Truman, Oh Thank You Great Spirit, Long Time No See, Ain't It Blue? & Old Days. Musicians on the VIII album: Robert Lamm, Peter Cetera, Terry Kath, Lee Loughnane, James Pankow, Walter Parazaider & Daniel Seraphine. The Tracks are: 25 or 6 to 4, Does Anybody Really Know What Time It Is?, Color My World, Just You 'N' Me, Saturday in the Park, Feelin' Stronger Every Day, Make Me Smile, Wishing You Were Here, Call on Me, (I've Been) Searchin' So Long & Beginnings. Musicians on the Greatest Hits (IX) album: Robert Lamm, Peter Cetera, Laudir Soares de Oliveria, Terry Kath, Lee Loughnane, James Pankow, Walter Parazaider & Daniel Seraphine. The Tracks are: Once or Twice, You Are on My Mind, Skin Tight, If You Leave Me Now, Together Again, Another Rainy Day in New York City, Mama Mama, Scrapbook, Gently I'll Wake You, You Get It Up & Hope for Love. Musicians on the X album: Robert Lamm, Peter Cetera, Terry Kath, Lee Loughnane, James Pankow, Walter Parazaider & Daniel Seraphine. The Tracks are: Mississippi Delta City Blues, Baby What a Big Surprise, Till the End of Time, Policeman, Take Me Back to Chicago, Vote for Me, Takin' It on Uptown, This Time, The Inner Struggles of a Man, Prelude (Little One) & Little One. Musicians on the XI album: Robert Lamm, Carl Wilson, Peter Cetera, Tim Cetera, Chaka Khan, Laudir Soares de Oliveria, Terry Kath, Lee Loughnane, James Pankow, Walter Parazaider, Daniel Seraphine & David Wolinski "Hawk". The Tracks are: Alive Again, Greates Love on Earth, Little Miss Lovin', Hot Streets, Take a Chance, Gone Long Gone, Ain't It Time, Love Was New, No Tell Lover & Show Me the Way. Musicians on the Hot Streets album: Robert Lamm, Peter Cetera, Donnie Dacus, Laudir Soares de Oliveria, Lee Loughnane, James Pankow, Walter Parazaider, Daniel Seraphine, Blue Weaver & Laudir Soares DeOliveria. "Number 13 hit the street"
The Tracks are: Street Player, Mama Take, Must Have Been Crazy, Window Dreamin', Paradise Alley, Aloha Mama, Reruns, Loser With a Broken Heart, Life Is What It Is & Run Away. Musicians on the 13 album: Robert Lamm, Airto Moreira, Peter Cetera, Maynard Ferguson, Donnie Dacus, Laudir Soares de Oliveria, Lee Loughnane, James Pankow, Walter Parazaider & Daniel Seraphine. The Tracks are: Manipulation, Upon Arrival, Song for You, Where Did the Lovin' Go, Birthday Boy, Hold On, Overnight Cafe, Thunder and Lightning, I'd Rather Be Rich & The American Dream. Musicians on the XIV album: Robert Lamm, Peter Cetera, Lee Loughnane, James Pankow, Walter Parazaider , Chris Pinnick, Daniel Seraphine, Ian Underwood & David Wolinski "Hawk". The Tracks are: Baby What a Big Surprise, Dialogue, Pt. 2, No Tell Lover, Alive Again, Old Days, If You Leave Me Now, Questions 67 & 68, Happy Man, Gone Long Gone & Take Me Back to Chicago. Musicians on the Chicago´s Greatest Hits, Vol. 2 album: Robert Lamm, Peter Cetera , Lee Loughnane, James Pankow, Walter Parazaider & Daniel Seraphine. The Tracks are: What You're Missing, Waiting for You to Decide, Bad Advice, Chains, Hard to Say I'm Sorry/Get Away, Follow Me, Sonny Think Twice, What Can I Say, Rescue You & Love Me Tomorrow. Musicians on the 16 album: Robert Lamm, Peter Cetera, Jeremy Lubbock, David Foster, Bill Champlin, Michael Landau, Lee Loughnane, Steve Lukather, David Paich, James Pankow, Walter Parazaider, Chris Pinnick, Steve Porcaro & Daniel Seraphine. The tracks are: Stay the Night, We Can Stop the Hurtin', Hard Habit to Break, Only You, Remember the Feeling, Along Comes a Woman, You're the Inspiration, Please Hold On, Prima Donna & Once in a Lifetime. Musicians on the 17 album: Jeremy Lubbock, David Foster, Bill Champlin, Steve Kipner, Robert Lamm, Erich Bulling, Peter Cetera, Kenny Cetera, Paulinho Da Costa, Gary Grant, Michael Landau, Lee Loughnane, Richard Marx, Donny Osmond, James Pankow, Walter Parazaider, Chris Pinnick, Marcus Ryle, Daniel Seraphine, John Van Tongeren, Paul Jackson , Greg Adams & Bobby Lamm. The Tracks are: Niagara Falls, Forever, She Would Have Been Faithful..., 25 or 6 to 4, Will You Still Love Me?, Over and Over, It's Alright, Nothin's Gonna Stop Us Now, I Believe & One More Day. Musicians on the 18 album: David Foster, Bill Champlin, Steve Kipner, Robert Lamm, Michael Boddicker, Dave Boruff, Buzzy Feiten, Michael Landau, Rhett Lawrence, Lee Loughnane, Steve Lukather, James Pankow, Walter Parazaider, Jason Scheff, Daniel Seraphine, Bo Tomlyn, Myhanh Tran, Alitzah Wiener, Peter Wade, Betty Joyce, Felicia Parazaider, Laurie Parazaider & Tom Keane. The Tracks are: Heart in Pieces, I Don't Wanna Live Without Your Love, I Stand Up, We Can Last Forever, Come in from the Night, Look Away, What Kind of Man Would I Be?, Runaround, You're Not Alone & Victorious. Musicians on the 19 album: Bill Champlin, Robert Lamm, Phillip Ashley, Dwayne Bailey, Kiki Epsen, Dann Huff, Charles Judge, Lee Loughnane, James Pankow, Walter Parazaider, Chas Sandford, Jason Scheff, Daniel Seraphine, Mike Murphy, John Campbell, Michael Martin Murphey & Tim Feehan. "A selection of Chicago songs"
The Tracks are: if You Leave Me Now, Baby What A big Surprise, Where Did The Loving Go?, Take Me Back To Chicago, Hard To Say I´m Sorry, Love Me Tomorrow, Hard Habit To Break, Only You, You´re The Insperation, Along Comes A Woman, Remember The Feeling, Is She Would Have Been Faithful, Will You Still Love Me?, What Kind Of Man Would I Be & Look Away. Musicians on the The Heart Of... album: Chicago and others. The Tracks are: Explain It to My Heart, If It Were You, You Come to My Senses, Somebody Somewhere, What Does It Take, One from the Heart, Chasin' the Wind, God Save the Queen, Man to Woman, Only Time Can Heal the Wounded, Who Do You Love & Holdin' On. Musicians on the Twenty 1 album: Bill Champlin, Robert Lamm, Dwayne Bailey, Robbie Buchanan, David Foster, Jerry Hey, Tris Imboden, John Keane, Michael Landau, Lee Loughnane, Dennis Matkosky, James Pankow, Walter Parazaider, Steve Porcaro, Jason Scheff, Efrain Toro, Stephen Kupka & Tom Keane. The Tracks are: Introduction, Does Anybody Really Know What Time It Is?, Beginnings, Questions 67 & 68, Listen, Poem 58, I'm a Man, Make Me Smile, So Much to Say So Much to Give, Anxiety's Moment, West Virginia Fantasies, Colour My World, To Be Free, Now More Than Ever, Fancy Colours, 25 or 6 to 4, Where Do We Go from Here?, Flight 602, Free, What Else Can I Say, Mother, Lowdown, A Song for Richard and His Friends, A Hit by Varese, Saturday in the Park, Dialogue, Pt. 1, Dialogue, Pt. 2, Alma Mater, Feelin' Stronger Every Day, In Terms of Two, Critics' Choice, Just You 'N' Me, Something in This City Changes People, Life Saver, Happy Man, (I've Been) Searchin' So Long, Skinny Boy, Byblos, Wishing You Were Here, Call on Me, Brand New Love Affair, Pts 1 & 2, Harry Truman, Old Days, You Are on My Mind, If You Leave Me Now, Together Again, Another Rainy Day in New York City. Hope for Love, Take Me Back to Chicago, Mississippi Delta City Blues, Baby What a Big Surprise, Prelude (Little One), Little One, No Tell Lover, Closer to You, Gone Long Gone, Alive Again, Must Have Been Crazy, Doin' Business, Song for You, Thunder and Lightning, The American Dream & Beginnings (live). Musicians on the Group Portrait album: Chicago and others. The Tracks are: Chicago, Carava, Dream a Little Dream of Me, Goody Goody, Moonlight Serenade, Night and Day, Blues in the Night, Sing Sing Sing, Sophisticared Lady, In the Mood, Don't Get Around Much Anymore & Take the "A" Train. Musicians on the Night & Day, Big Band album: Bill Champlin, Robert Lamm, Paul Shaffer, Jade, Luis Conte, Sal Ferreras, Bruce Gaitsch, Gipsy Kings, Joe Perry, Tris Imboden, Lee Loughnane, James Pankow, Walter Parazaider, Jason Scheff & Jack Duncan. "Best of + bonus tracks"
The Tracks are: Hard To Say I'm Sorry, Love Me Tomorrow, Stay The Night, Hard Habit To Break, You're The Inspiration, A long Comes A Woman, Will You Still Love Me, If She Would Have Been Fa, I Don't Wanna Live Without, Look Away, You're Not Alone, What Kind Of Man Would I, Chasin' The Wind, Here In My Heart & Only One. Musicians on the The Heart Of Chicago 1982-1997 Volume I album: Chicago and others. The Tracks are: Dialogue (Part 1 & 2), Old Days, All Roads Lead To You, Love Me Tomorrow, Baby What A Big Surprise, You're Not Alone, What Kind Of Man Would I Be, No Tell Lover, Show Me A Sign, (I've Been) Searchin' So Long, Call On Me, I Don't Wanna Live Without Your Love, Feelin' Stronger Everyday, Stay The Night, I'm A Man & 25 Or 6 To 4. Musicians on the The Heart Of Chicago 1967-1998 Volume II album: Chicago and others. The Tracks are: Little Drummer Boy, God Rest Ye Merry Gentlemen, Have Yourself A Merry Little Christmas, The Christmas Song, O Come All Ye Faithful, Child's Prayer, Feliz Navidad, Santa Claus Is Coming To Town, Christmas Time Is Here, Let It Snow! Let It Snow! Let It Snow!, What Child Is This, White Christmas, Silent Night & One Little Candle. Musicians on the XXV (25) album: Chicago and others. The Tracks are: The Ballet, Make Me Smile, So Much To Say, So Much To Give, Anxiety's Moment, West Virginia Fantasies, Colour My World, To Be Free, Now More Than Ever, (I've Been) Searchin' So Long, Mongonucleosis, Hard Habit To Break, Call On Me, Feelin' Stronger Every Day, .Just You 'n' Me, Beginnings, Hard To Say I'm Sorry / Get Away, 25 or 6 to 4, Back To You, If I Should Ever Lose You & (Your Love Keeps Lifting Me) Higher and Higher. Musicians on the Live In Concert album: Walt Parazider, Lee Loughnane, James Pankow, Tris Imboden, Robert Lamm, Jason Scheff, Keith Howland, Bill Champlin & Michael McDonald. The Tracks are: Disc 1: Make Me Smile, 25 Or 6 To 4, Does Anybody Really Know What Time It Is?, Beginnings, Questions 67 And 68, I’m A Man, Colour My World, Free, Lowdown, Saturday In The Park, Dialogue (Part I & II) (single version), Just You ’N’ Me, Feelin’ Stronger Every Day, (I’ve Been) Searchin’ So Long, Wishing You Were Here, Call On Me, Happy Man (GH2 edit) & Another Rainy Day In New York City. Disc 2: If You Leave Me Now, Old Days, Baby What A Big Surprise, Take Me Back To Chicago (single version), Alive Again, No Tell Lover, Love Me Tomorrow (single version), Hard To Say I’m Sorry/Get Away, Stay The Night, Hard Habit To Break, You’re The Inspiration, Along Comes A Woman (single version), Will You Still Love Me? (single version), If She Would Have Been Faithful..., Look Away (single version), What Kind Of Man Would I Be? (single version), I Don’t Wanna Live Without Your Love, We Can Last Forever (single version), You’re Not Alone (single version), Chasin’ The Wind & Sing, Sing, Sing - Chicago with The Gipsy Kings. Musicians on the The Very Best Of Chicago -Only The Beginning album: Robert Lamm, Peter Cetera, Terry Kath, Lee Loughnane, James Pankow, Walter Parazaider, Daniel Seraphine, Dwayne Bailey, Bill Champlin, Jason Scheff, Tris Imboden and others. The Tracks are: If You Leave Me Now, Hard To Say I´m Sorry, You´re The Inspiration, I Don´t Wanna Live Without Your Love, Baby What A Big Surprise, Hard Habit To Break, Will You Still Love Me?, What Kind Of Man Would I Be?, Look Away, Love Me Tomorrow, Along Comes A Woman, Stay The Night, You Come To My Senses, I´m A Man, You´re Not Alone, Take Me Back To Chicago, 25 Or 6 To 4, Saturday In The Park & Colour My World. "Remastered, Retitled of the christmas album + 6 new tracks"
The Tracks are: Winter Wonderland, Let It Snow! Let It Snow! Let It Snow!, Jolly Old St. Nicholas, Little Drummer Boy, This Christmas, Feliz Navidad, Bethlehem, The Christmas Song, O Come All Ye Faithful, Rudolph The Red-Nosed Reindeer, Have Yourself A Merry Little Christmas, Sleigh Ride, Silent Night, What Child Is This, Christmas Time Is Here, God Rest Ye Merry Gentlemen, Santa Claus Is Coming To Town, Child's Prayer, One Little Candle & White Christmas. Musicians on the What´s It Gonna Be, Santa album: Chicago and others. "Remastered, Retitled of the christmas album + 6 new tracks, different cover"
"A music history from Chicago"
The Tracks are: Disc 1: CTA-Chicago: Introduction, Does Anybody Really Know What Time It Is? (edit), Beginnings (edit), Questions 67 And 68, Listen, South California Purples, I’m A Man (edit), Movin’ In, Wake Up Sunshine, Ballet For A Girl In Buchannon: Make Me Smile/So Much To Say, So Much To Give/Anxiety’s Moment/West Virginia, Fantasies, Colour My World, To Be Free/Now More Than Ever, Fancy Colours, 25 Or 6 To 4, Poem For The People & It Better End Soon: 1st Movement/3rd Movement/4th Movement (new edit). Disc 2: Chicago III-VII: Loneliness Is Just A Word, Travel Suite (Excerpts): Flight 602, Free, Mother, Lowdown, An Hour In The Shower: A Hard Risin’ Morning Without Breakfast/Off To Work/Fallin’ Out/Dreamin’ Home/Morning Blues Again, A Hit By Varèse, All Is Well, Saturday In The Park, Dialogue (Part One & Part Two), Just You ’N’ Me, Something In This City Changes People, In Terms Of Two, Feelin’ Stronger Every Day, (I’ve Been) Searchin’ So Long, Mongonucleosis, Wishing You Were Here, Call On Me & Happy Man (edit). Disc 3: Chicago VIII-Hot Streets: Harry Truman, Old Days, Brand New Love Affair—Part I & II, Never Been In Love Before, You Are On My Mind, Mama Mama, Hope For Love, Another Rainy Day In New York City, Gently I’ll Wake You, If You Leave Me Now, Mississippi Delta City Blues, Baby, What A Big Surprise, Take Me Back To Chicago, Prelude (Little One)/Little One, Gone Long Gone, No Tell Lover (single edit), Alive Again (single edit), The Greatest Love On Earth, Little Miss Lovin’ & Hot Streets. Disc 4: Chicago 13-18: Street Player, Must Have Been Crazy, Manipulation, Thunder And Lightning, Song For You, The American Dream, Love Me Tomorrow, Chains, What You’re Missing, Hard To Say I’m Sorry/Get Away, Stay The Night, We Can Stop The Hurtin’, Hard Habit To Break, Along Comes A Woman, You’re The Inspiration, Good For Nothing, If She Would Have Been Faithful..., Forever, Will You Still Love Me? & Niagara Falls. Disc 5: Chicago 19-Heart of. Vol II: Heart In Pieces, Look Away, What Kind Of Man Would I Be?, I Don’t Wanna Live Without Your Love, We Can Last Forever, You’re Not Alone (single mix), Hearts In Trouble (single edit), Only Time Can Heal The Wounded, You Come To My Senses, God Save The Queen, Chasin’ The Wind, All The Years, Stone Of Sisyphus, Bigger Than Elvis, Caravan, Here In My Heart, The Only One (promo single edit), All Roads Lead To You & Show Me A Sign. Disc 6: Special Archival Bonus DVD: Chicago Live At The Aerie Crown Theatre: Backstage & Buildup, Now That You’ve Gone, Devil’s Sweet, Saturday In The Park, Dialogue & End Credits . Promotional Film For Chicago 13: Intro, Must Have Been Crazy, Cat Pranks, Run Away & Street Player. Musicians on the The Box album: Chicago and others. The Tracks are: You're The Inspiration, If You Leave Me Now, Hard To Say I'm Sorry / Get Away, Here In My Heart, Call On Me, Colour My World, Just You 'N' Me, After The Love Has Gone, Hard Habit To Break, Look Away, Beginnings, Happy Man, Will You Still Love Me?, No Tell Lover, I Don't Wanna Live Without Your Love, Never Been In Love Before, What Kind Of Man Would I Be? & Wishing You Were Here. 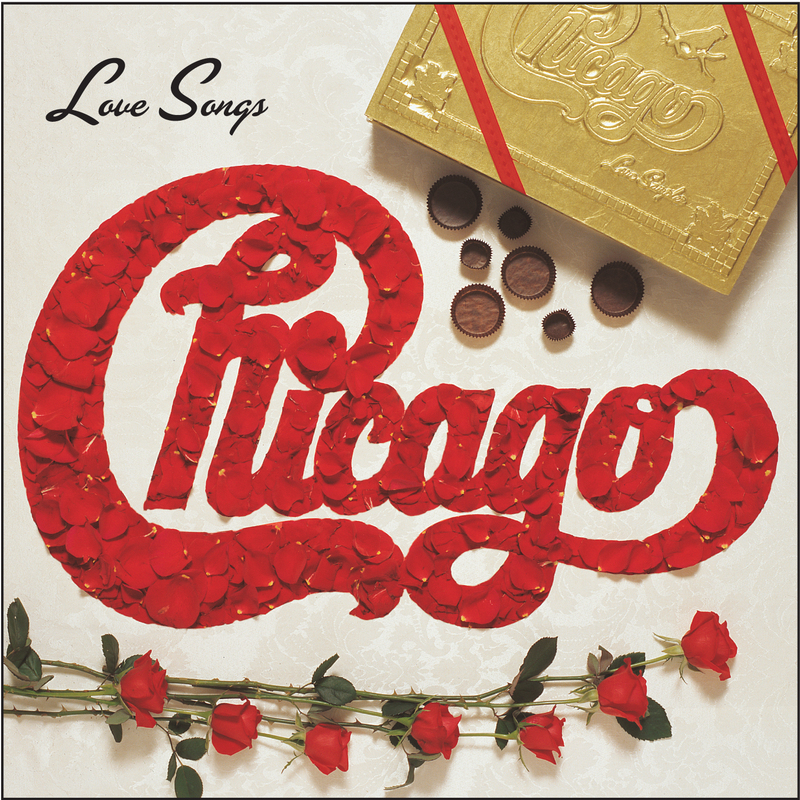 Musicians on the Love Songs album: Chicago and others. "Re-release of the Chicago Live album"
The Tracks are: Disc 1: In the Country, Fancy Colors, Does Anybody Really Know What Time It Is? ["Free Form Intro"], Does Anybody Really Know What Time It Is?, South California Purples, Questions 67 and 68, Sing a Mean Tune Kid & Beginnings. Disc 2: It Better End Soon-1st Movement, It Better End Soon-2nd Movement ["Flute Solo"], It Better End Soon-3rd Movement ["Guitar Solo"], It Better End Soon-4th Movement, It Better End Soon-5th Movement, Introduction, Mother, Lowdown, Flight 602, Motorboat to Mars, Free, Where Do We Go from Here? & I Don't Want Your Money. Disc 3: Happy 'Cause I'm Going Home, Make Me Smile, So Much to Say, So Much to Give, Anxiety's Moment, West Virginia Fantasies, Color My World, To Be Free, Now More Than Ever, A Long for Richard and His Friends, 25 or 6 to 4 & I'm a Man. Disc 4: Listen, Introduction, South California Purples, Loneliness Is Just A Word, Free Form Intro (Naseltones), Sing A Mean Tune Kid, An Hour In The Shower (A Hard Risin´, Morning Without Breakfast, Off To Work, Fallin´Out, Dreamin´Home, Morning Blues) & 25 Or 6 To 4. The Tracks are: Feel (Hot Single–Mix), King Of Might Have Been, Caroline, Why Can′t We, Love Will Come Back, Long Lost Friend, 90 Degrees And Freezing, Where Were You, Already Gone, Come To Me Do, Lovin′ Chains, Better & Feel (w⁄Horns). "A collection of songs from the career"
The Tracks are: CD1: Question 67 And 68, 25 Or 6 To 4, Does Anybody Really Know What Time It Is?, Make Me Smile, Beginnings, Colour My World, Saturday In The Park, Feelin´Stronger Every Day, Just You´N´Me, (I´ve Been) Searchin´So Long, Call On Me, Wishing You Were Here, Old Days, Another Rainy Day In New York City & If You Leave Me Now. CD2: Baby What A Big Surprise, No Tell Lover, Hard To Say I´m Sorry, Love Me Tomorrow, Hard Habit To Break, You´re The Inspiration, Will You Still Love Me?, If She Would Have Been Faithful, I Don´t Wanna Live Without Your Love, Look Away, What Kind Of Man Would I Be?, You´re Not Alone, Here In My Heart, Feel (w/Horns) & Love Will Come Back. The Tracks are: Just You And Me, Saturday In The Park, You´re The Inspiration, Baby What A Big Surprise, Hard To Say I´m Sorry, Does Anybody Really Know What Time It Is?, 25 Or 6 To 4, If You Leave Me Now, Hard Habit To Break, Old Days, Beginnings, Call On Me, Make Me Smile, Love Will Come Back & Feel (w/Horns). The Tracks are: Stone Of Sisyphus, Bigger Than Elvis, All The Years, Mah-Jong, Sleeping In The Middle Of The Bed, Let´s Take A Lifetime, The Pull, Here With Me (A Candle For The Dark), Plaid, Cry For The Lost, The Show Must Go On, Love Is Forever (Demo), Mah-Jong (Demo), Let´s Take A Lifetime (Demo) & Stone Of Sisyphus (No Rhythm Loop). Musicians on the Stone Of Sisyphus album: Robert Lamm, Walt Parazaider, Lee Loughnane, James Pankow, Jason Scheff, Bill Champlin, Dwayne Bailey, Tris Imboden, Bruce Gaitsch, The Jordinaires, Sheldon Reynolds, Jerry Scheff, Joseph Williams & Peter Wolf. The Tracks are: Disc 1: Introduction, Anyway You Want, Beginnings, Does Anybody Really Know What Time It Is?, Call on Me, Make Me Smile. So Much to Say So Much to Give, Anxiety’s Moment, West Virginia Fantasies, Colour My World, To Be Free, Now More Than Ever, Ain’t It Blue?, Just You ’N’ Me, (I’ve Been) Searchin’ So Long, Mongonucleosis, Old Days & 25 or 6 to 4. Disc 2: Got to Get You Into My Life, Free, I’m a Man, Dialogue, Wishing You Were Here & Feelin’ Stronger Every Day. Musicians on the Live In ´75 album: Peter Cetera, Robert Lamm, Walt Parazaider, Lee Loughnane, James Pankow and others. The Tracks are: Dialogue, Pt. 1, A Hit by Varese, Lowdown, State of the Union, Saturday in the Park, Make Me Smile, So Much to Say So Much to Give, Anxiety's Moment [instrumental], West Virginia Fantasies [instrumental], Colour My World, To Be Free [instrumental], Now More Than Ever, Beginnings, Mississippi Delta City Blues, A Song for Richard and His Friends, Does Anybody Really Know What Time It Is? ["Free Form Intro"], Does Anybody Really Know What Time It Is?, Questions 67 & 68, 25 or 6 to 4, I'm a Man & Free. Musicians on the Live In Japan album: Robert Lamm, Peter Cetera, Terry Kath, Lee Loughnane, James Pankow, Walter Parazaider & Daniel Seraphine. "Canadina fan release" The Tracks are: Disc1: Make Me Smile, 25 Or 6 To 4, Does Anybody Really Know What Time It Is?, Bigger Than Elvis, Free, Lowdown, Beginnings, Colour My World, Questions 67 & 68, Saturday In The Park, Dialogue (Part 1 & 2), Feelin´ Stronger Everyday, Just You And Me & (I´ve Been) Searchin´ So Long. Disc2: Stone Of Sisyphus, Call On Me, Wishing You Were Here, Harry Truman, Old Days, Another Rainy Day In New York City, If You Leave Me Now, Baby What A Big Surprise, Alive Again & No Tell Lover. "Best of, remastered + unreleased tracks" The Tracks are: If You Leave Me Now, Baby What A Big Surprise, Saturday In The Park, Wishing You Were Here, 25 Or 6 To 4, I´m A Man, Feelin´Stronger Every Day, Does Anybody Really Know What Time It Is?, Street Player, Low Down, Take Me Back To Chicago, Meke Me Smile, Beginnings, I´ve Been Searchin´So Long, Question 67 & 68, Bigger Than Elvis (previously unreleased) & Take A Lifetime (previously unreleased). "A collection of Chicago songs"
The Tracks are: If You Leave Me Now, Saturday in the Park, Feelin' Stronger Every Day, (I've Been) Searchin' So Long, 25 or 6 to 4, Baby What a Big Surprise, Wishing You Were Here, No Tell Lover, Another Rainy Day in New York City, Does Anybody Really Know What Time It Is? & Song for You. Musicians on the If You Leave Me Now album: Robert Lamm, Peter Cetera, Lee Loughnane, James Pankow, Walter Parazaider & Daniel Seraphine. The Tracks are:"5 Or 6 To 4, If You Leave Me Now, Does Anybody Really Know What Time It Is?, Hard To Say I´m Sorry, Get Away, Just You And Me, Saturday In The Park, Colour My World, Wishing You Were Here, Alive Again, No Tell Lover, Make Me Smile, Another Rainy Day In New York City, I´m A Man, Feelin´ Stronger Every Day, Baby What A Big Surprise, (I´ve Been) Searchin´ So Long, Hard Habit To Break, Gone Long Gone. Musicians on the 25 Years Of Gold album: Chicago and others. "Best of + bonus tracks, japanese version"
Musicians on the The Heart Of Chicago 1967-1998 Volume II Special Edition album: Chicago and others. You´re The Inspiration. Look Away. Special Edition album: Chicago and others. 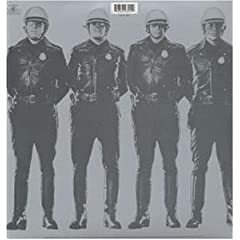 The Tracks are: All Roads Lead To You, Lowdown (Japanese Version), Questions 67 & 68 (Japanese Version), Street Palyer (Dance Mix), Along Comes A Woman (Dance Mix), All The Years, The Pull, Prologue (August 29) 1968-Someday (AUG 29, 1968), Hard To Say I'm Sorry/Get Away & Show Me A Sign. The Tracks are: Hard To Say I'm Sorry, Saturday In The Park, If You Leave Me Now, You're The Inspiration, Look Away, Glory Of Love (Peter Cetera), Hard Habit To Break, Here In My Heart, Call On Me, Colour My World, Will You Still Love Me?, The Next Time I Fall (Peter Cetera with Amy Grant), Beginnings, No Tell Lover, I Don't Wanna Live Without Your Love, What Kind Of Man Would I Be?, Just You 'N' Me, If You Leave Me Now (Live 2004 featuring Philip Bailey) & After The Love Has Gone (Live 2004, Earth Wind & Fire featuring Bill Champlin of Chicago). Europeisk version av The Very Best Of Chicago: Only The Beginning. 2002. Chicago XXV, finns i två versioner. 1999 kom den första versionen som du ser nedan. Den 15 Februari, 2004 var det 35års jubileum för gruppen Chicago. På den version som säljs i Svergie är låtlista ändrad lite. På den finns dessa låtar med: Saturday in the park. Glory of love. part 2, The next time i fall. with Ami Grant. Just you´n´ me. Har även hittat den i Asien där den finns som bubbel CD. Och med DTS ljud. "Chicago live" The Tracks are: Introduction, South Carolina Purples, Questions 67 & 68, 25 or 6 to 4, Does Anybody Really Know What Time It Is?, Liberation, I'm a Man & Beginnings (Finale). "Japanese best of release" 25 Or 6 To 4, Saturday In The Park, Make Me Smile, The Approaching Storm, Low Down, In The Country, Listen, Free, I Don´t Want Your Money, Questions 67 And 68, Beginnings & If You Leave Me Now. 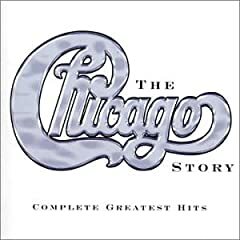 "Best of Chicago" The Tracks are: Baby What a Big Surprise, Happy Man, Take Me Back to Chicago, If You Leave Me Now, Old Days, Song for You, Thunder and Lightning, Wishing You Were Here, Mama Take & Run Away. "Chicago in concert" The Tracks are: Beginnings, Purples, 25 or 6 to 4, Does Anybody Really Know What Time It Is?, I'm a Man & Questions 67 and 68. "Japanese collection album" The Tracks are: Introduction, Does Anybody Really Know What Time It Is?, Questions 67 And 68, Make Me Smile, 25 Or 6 To 4, Free, Lowdown, Flight 602, Saturday In The Park, Feelin´Stronger Everyday, Just You´N´Me, Wishing You Were Here, Old Days, Another Day In The Rainy City, If You Leave Me Now, Baby What A Big Surprise, Take Me Back To Chicago, Alive Again & No Tell Over. "Live album" The Tracks are: Beginnings, Purple Song, 25 or 6 to 4, Does Anybody Know What Time It Is, I'm a Man, Questions Sixty Seven-Sixty Eight & Liberation. "Live album" The Tracks are: Beginnings, Purples, 25 or 6 to 4, Does Anybody Know What Time It Is, I'm a Man, Questions 67 & 68 & Liberation. "Toronto Live" The Tracks are: Introduction, 25 or 6 to 4, Does Anybody Really Know What Time It Is?, I'm a Man & Liberation. "Live album" The Tracks are: Beginnings, Purples, 25 or 6 to 4, Does Anybody Know What Time It Is?, I'm a Man, Questions 67 and 68 & Liberation. "The unreleased Chicago album" The Tracks are: All The Years, Stone Of Sisyphus, Bigger Than Elvis, Sleeping In The Middle Of The Bed, Mah Jongg, Let´s Take A Lifetime, The Pull, Here With Me, Plaid, Cry For The Lost, Get On This & The Show Must Go On. "Back to basic" The Tracks are: 25 or 6 to 4, Beginnings, Does Anybody Know What Time It Is, Purple Song, Questions, I'm a Man & Liberation. "Chicago in concert" The Tracks are: Beginnings, Purples, 25 or 6 to 4, Does Anybody Really Know What Time It Is?, I'm a Man, Questions 67 and 68 & Liberation. 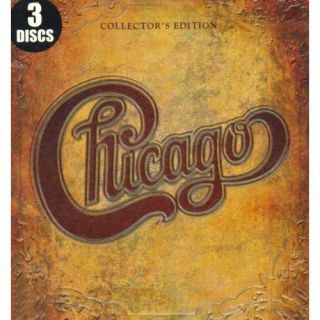 "Chicago live in concert" The Tracks are: Beginnings, Purples, 25 or 6 to 4, Does Anybody Really Know What Time It Is?, I'm a Man, Questions 67 and 68 & Liberation. "UK live release" The Tracks are: 25 or 6 to 4, Does Anybody Really Know What Time It Is?, South California Purples, Beginnings, Questions 67 and 68, I'm a Man & Liberation. "Portugiese live release" The Tracks are: Beginnings, I´m A Man, 25 or 6 to 4, Does Anybody Really Know What Time It Is?, Questions 67 and 68 & Liberation. "Another live release" The Tracks are: Intro Song, Purple Song, 25 or 6 to 4, Questions, Does Anybody Really Know What Time It Is?, Liberation, I'm a Man, Beginnings (Finale). "Yet another live release" The Tracks are: Introduction, South Californina Purples, I'm a Man, 25 or 6 to 4, Questions 67 & 68, Liberation & Does Anybody Really Know What Time It Is?. "German live release" The Tracks are: Beginnings, Purple Song (Purples), 25 or 6 to 4, Does Anybody Really Know What Time It Is?, I'm a Man, Questions 67 & 68, Liberation & Medley (I'm a Man, 25 or 6 to 4 & Beginnings). "German live release" The Tracks are: 25 Or 6 To 4, Saturday In The Park, Make Me Smile, The Approaching Storm, Low Down, In The Country, Listen, Free, I Don´t Want Your Money, Questions 67 And 68, Beginnings & If You Leave Me Now. "Toronto live" The Tracks are: Beginnings, South California Purples, 25 or 6 to 4, Does Anybody Know What Time It Is, I'm a Man, Question 67 and 68 & Liberation. "Toronto live" The Tracks are: Introductions, South California Purples, 25 or 6 to 4, Does Anybody Know What Time It Is, I'm a Man, Question 67 and 68 & Liberation. "Dutch release" The Tracks are: CD1: 25 Or 6 To 4, I´m A Man, Question 67 & 68, Does Anybody Really Know What Time It Is?, Beginnings, Purple Song & Liberation. CD2: Feelin´Stronger Every Day, Just You And Me, Rediscovery, Darlin´Dear, Critic´s Choice, Hollywood, In Terms Of Two, Jenny, Something In This City Changes People & What´s This World Comin´To. "Chicago Live In Toronto" The Tracks are: Beginnings, South California Purples, 25 or 6 to 4, Does Anybody Really Know That Time It Is?, I´m A Man, Question 67 to 68, Liberation & Medley (I´m A Man, 25 Or 6 To 4, Beginnings). "A Chicago collection" The Tracks are: Feelin´Stronger Every Day, Just You And Me, Rediscovery, What´s This World Comin´To, Darlin´ Dear, Hollywood, Jenny, In Terms Of Two, Something In This City Changes People, Critic´s Choice, 25 Or 6 To 4, I´m A Man, Questions 67 & 68, Does Anybody Really Know What Time It Is, Beginnings & Purple Song. "Chicago Live In Toronto" The Tracks are: Beginnings, South California Purples, 25 or 6 to 4, Does Anybody Really Know That Time It Is?, I´m A Man, Question 67 to 68 & Liberation. 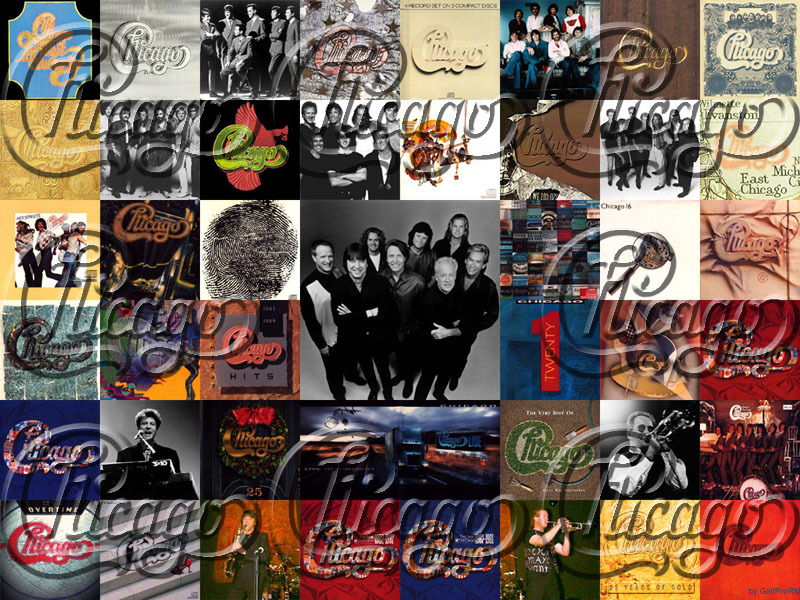 "Best of Chicago" The Tracks are: Question 67 & 68, Make Me Smile, 25 Or 6 To 4, Does Anybody Really Know What Time It Is?, Beginnings, Saturday In The Park, Whishing You Were Here, If You Leave Me Know, Baby What A Big Surprice, Hard To Say I´m Sorry, Love Me Tomorrow & Hard Habit To Break. "Best of Chicago, digital remasted" The Tracks are: 25 or 6 To 4, Feeling Stronger Every Day, If You Leave Me Now, Take Me Back To Chicago, Love Me Tomorrow, Baby What A Big Surprise, Stay The Night, You´re The Inspiration, Hard To Say I´m Sorry, Wishin You Were Here, (I´ve Been) Searchin´So Long & Colour My World. "Live album" The Tracks are: Beginnings, South California Purples, 25 Or 6 To 4, Does Anybody Know What Time It Is?, I'm A Man, Questions 67 And 68 & Liberation. "Chicago Anthology" The Tracks are: 25 or 6 to 4, I'm a Man, Liberation, Beginnings, Questions 57 and 58, Does Anybody Know What Time It Is & Purple Song. "Chicago Live" The Tracks are: Beginnings, Purples, 25 or 6 to 4, Does Anybody Know What Time It Is, I'm a Man, Questions 67 and 68 & Liberation. "Another Chicago release" The Tracks are: Beginnings, Purple Song, 25 Or T To 4, Does Anybody Know What Time It Is?, I´m A Man, Questions 67 And 68 & Liberation. "Beat The Bootleggers" The Tracks are: Beginnings, Purples, I´m A Man, Question 67 to 68, Does Anybody Really Know That Time It Is?, 25 or 6 to 4 & Liberation. "A collection of Chicago songs" The Tracks are: Beginnings, Purple Song, I'm a Man, Questions 67 to 68, Does Anybody Really Know What Time It Is?, 25 or 6 to 4, Liberation, Hollywood, In Terms of Two, What's the World Coming To?, Darlin' Dear, Feelin' Stronger Every Day, Jenny, Critic's Choice, Just You and Me, Rediscovery & Something in This City Changes People. 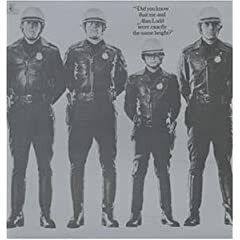 "Live release with the band Chicago" The Tracks are: Beginnings, South California Purples, 25 or 6 to 4, Does Anybody Really Know That Time It Is?, I´m A Man, Question 67 to 68 & Liberation. "Chicago Live" The Tracks are: Introductions, Purples, I´m A Man, Questions 67 and 68, Liberation, 25 or 6 to 4 & Does Anybody Know What Time It Is. "Live concert from 1969" The Tracks are: 25 or 6 to 4, I´m A Man, Does Anybody Really Know That Time It Is?, Introductions, South California Purples, Question 67 to 68 & Liberation. "Chicago live in concert" The Tracks are: 25 or 6 to 4, Beginnings, Does Anybody Really Know What Time It Is?, Purple Song, Questions 67 and 68, I'm a Man & Liberation. "Chicago Live" The Tracks are: 25 or 6 to 4, I'm a Man, Beginnings, Liberation, Questions 67 and 68 & Does Anybody Know What Time It Is. "Yet another live release" The Tracks are: Introduction, South Californina Purples, I'm a Man, 25 or 6 to 4, Liberation, Does Anybody Really Know What Time It Is? & Questions 67 & 68. "A collection of Chicago songs" The Tracks are: Niagara Falls, Hard To Say I´m Sorry/Get Away, If You Leave Me Now, You´re The Inspiration, Dream A Little Dream Of Me, Make Me Smile, You Come To My Senses, Colour My World, Take Me Back To Chicago, Just You´n´me, Baby What A Big Surprise, Hard Habit To Break, Wishin´You Were Here, Look Away, Saturday In The Park, The Only One, Here In My Heart, Does Anybody Really Know What Time It Is?, Let´s Take A Lifetime & Will You Still Love Me?. "Best of the Chicago Boys" The Tracks are: Question 67 & 68, Make Me Smile, 25 Or 6 To 4, Does Anybody Really Know What Time It Is, Beginnings, Saturday In The Park, Whishing You Where Here, If You Leave Me Now, Baby What A Big Surprise, Hard To Say I´m Sorry, Love Me Tomorrow & Hard Habit To Break. "Live & studio recordings" The Tracks are: Feelin´Stronger Every Day, Just You And Me, Rediscovery, What´s This World Comin´To, Darlin´Dear, Hollywood, Jenny, In Terms Of Two, Something In This City Changes People, Critic´s Choice, 25 Or 6 To 4, I´m A Man, Question 67 & 68, Make Me Smile, Does Anybody Really Know What Time It Is, Beginnings & Purple Song. "Chicago Live" The Tracks are: Beginnings, I'm a Man, In Terms Of Two, Hollywood, What´s This World Comin´To, 25 or 6 to 4, Feelin´ Stronger Everyday, Jenny, Questions 67 and 68, Rediscovery, Just You And Me, Purple Song, Something In This City Changes People, Darlin´Dear, Critics´ Choice & Does Anybody Know What Time It Is. "Chicago Live" The Tracks are: Beginnings, Purple Song, 25 Or 6 To 4, Does Anybody Know What Time It Is?, I´m A Man, Questions 67 And 68, Liberation & Medley: I´m A Man/25 or 6 To 4/Beginnings. "Yet another licensed release" The Tracks are: 25 Or 6 To 4, Beginnings, Does Anybody Know What Time It Is, Purple Song, Questions, I´m A Man & Liberation. "Chicago Live" The Tracks are: Beginnings, Purple Song, 25 Or 6 To 4, Does Anybody Know What Time It Is?, I´m A Man, Questions 67 And 68 & Liberation. "UK licensed release" The Tracks are: CD1: 25 Or 6 To 4, I´m A Man, Questions 67 & 68 (Live), Does Anybody Really Know What Time It Is (Live), Beginnings (Live), Purple Song (Live) & Liberation (Live). CD2: Feelin´ Stronger Every Day, Just You And Me, Rediscovery, Darlin´Dear, Critic´s Choice, Hollywood, In Terms Of Two, Jenny, Something In This City Changes People & What´s This World Comin´To. "German release" The Tracks are: Baby What A Big Surprice, Hard Habit To Break, Harry Truman, Take Me Back To Chicago, Feeling Stronger Every Day, Another Rainy Day In New York, You´re The Inspiration, Love Me Tomorrow, Does Anybody Really Know That Time It Is?, Saturday In The Park, Colour My World, Any Way You Want It, Wishing You Were Here, Hard To Say I´m Sorry, Hideaway, You Are On My Mind, If You Leave Me Now, Together Again, Brand New Love Affair Pts 1-2, Till We Meet Again, Old Days, (I´ll Be Searching) So Long, Ain´t It Blue & Beginnings. "Chicago Live" The Tracks are: Introductions, South Californa Purples, I´m A Man, Questions 67 And 68, Liberation, 25 Or 6 To 4 & Does Anybody Know What Time It Is?.